I recently rediscovered this photo and at first glance it looks like I could have been with Jake somewhere in China. 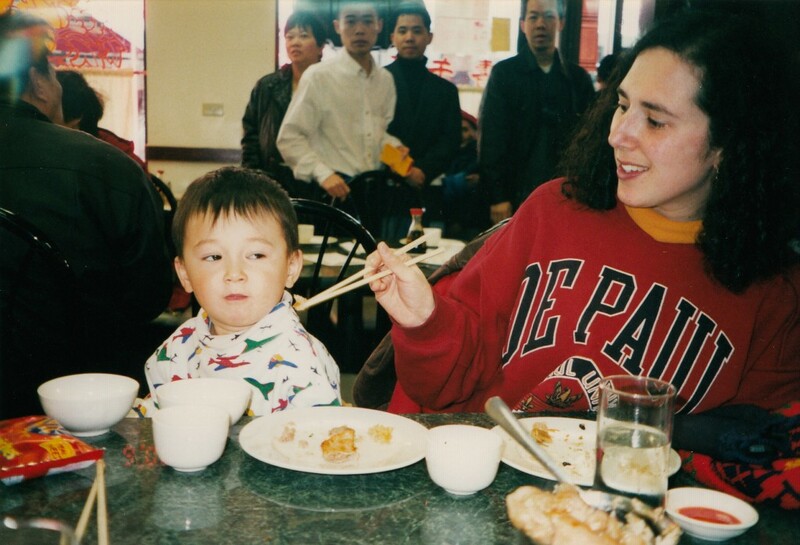 But in fact it was Chicago, where I started taking him for dim sum almost as soon as we moved back home. I still take my kids–three of them now–to Chinatown for dim sum. Some people seem amazed that I would continue exposing Jake and my other kids to Chinese culture after what happened in Good Chinese Wife. But I’d been going for dim sum since around the age of 12 and wasn’t about to let a bad experience ruin that experience for my family and me. Besides, dim sum in Chicago has greatly improved since the early 80s, so why not!